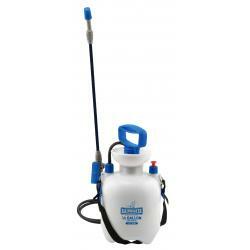 This is a heavy duty, refillable pump sprayer. 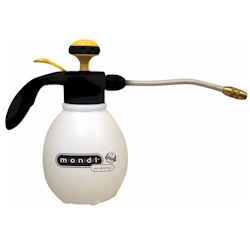 It features an adjustable brass spray nozzle. Capacity is 1.5 Liters (1.6 qts). 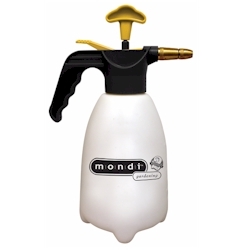 Use to apply most pest/disease control products, foliar sprays or cleaning agents. This 32 oz. 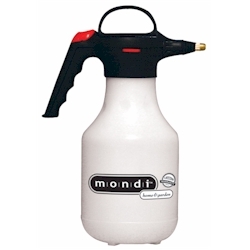 spray bottle has an adjustable nozzle & translucent bottle to easily see liquid levels. It can be used for a variety of home & garden applications.